Can you believe we are already into the first week of April? Which means the tax-deadline is right around the corner. As a multi-tasking person-on-the-go, I understand how ever-day life activities can consume your attention. Which makes finding time to organize financial records for tax filing season virtually impossible. I hear your frustrations, and so does the Internal Revenue Service (IRS). Fortunately, the IRS offers individual and business tax extensions. An individual business income tax extension can be filed using Form 4868. This includes all taxpayers who file 1040s, contractors who submit 1099s, as well as single-member LLCs and Schedule C Sole Proprietors. So, by now you are probably wondering how long is the extension, right? The IRS grants a 6-month extension. This extra amount of time allows you to file your forms without paying late fees or penalties. Please note that receiving an extension does not give you more time to pay — it only gives you more time to file your return. If you can’t file your return by the April deadline, you will need to estimate your tax bill and pay as much of that as possible at that time. Anything you owe after the time period is subject to late payment penalties and crazy interest. You must file your individual return by October 15, 2019. If you request an extension and make an estimated payment in April, you still need to submit your final return. If you don’t file by the extension deadline, the penalties could really hurt your pockets. Tax reform and state rules vary: It is also important to note that many states allow for an automatic filing of state extensions when a federal extension is filed, but other states may have different procedures. Individuals and Business owners should do their due diligence and not wait until the last minute. Work with a qualified accountant now to ensure you are well aware of your filing obligations this year and beyond. 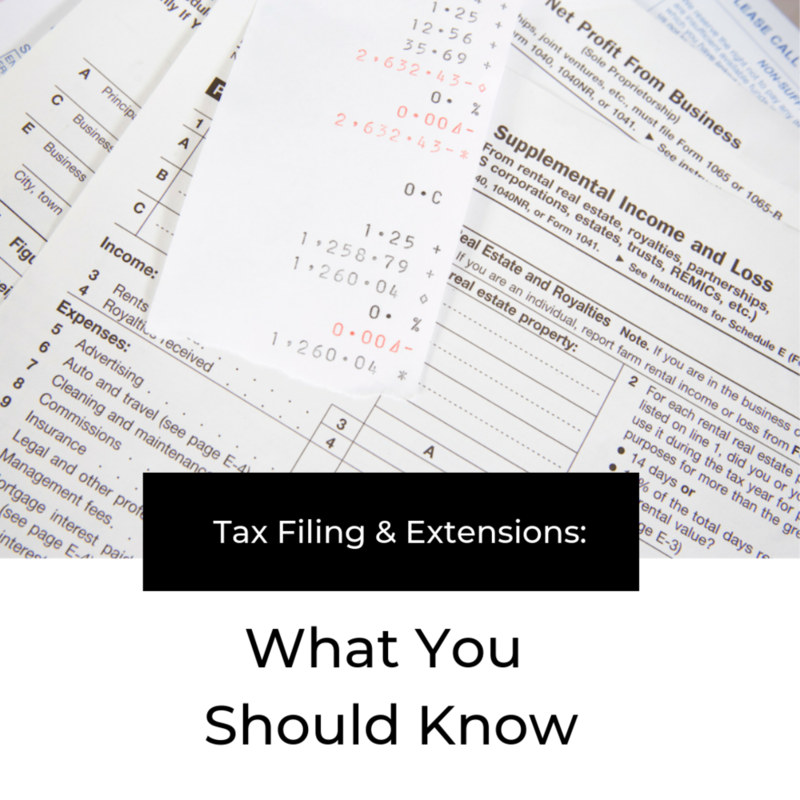 *A Special Note to Businesses Owners: Great, so you have filed your business extension, but depending on the nature of your business, you may also need to meet other filing deadlines. If you are a business and filed for an extension, you must submit your return by September 15, 2019. *Robin Boyd, President / CEO of Essential Accounting Consultants / MLM tax specialist. 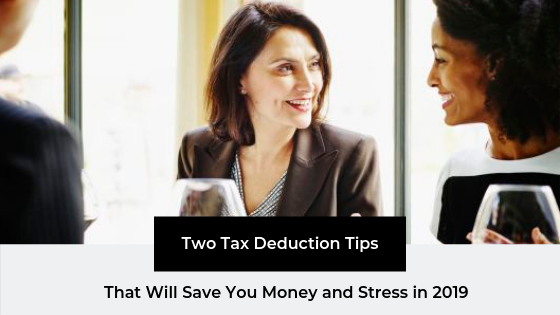 She connects with Entrepreneurs, Home-based business owners and Network Marketers across the country to help them plan and prepare their income tax returns. A few months back, I received a call from a potential client. She had recently purchased a coffee farm and required an Accountant. After our initial clarity call, I was intrigued to know more about her business and her goals for her business. We scheduled a time to meet again later in the week; this time on the actual farm. As my client gave me a tour around the property, my Accounting wheels began to turn. I could see how this type of farmland was a mixture of all the great things real estate had to offer, and I was ready to help my client receive proactive, actionable advice that could exceed her business goals. Side note: One of the reasons I have so many long-term clients is because I not only get to know my clients, but I also get to understand their business and why they’re excited to get out of bed each day to pursue their endeavor. Here are 3 traits you should consider when identifying an Accountant. Most Accountants are not looking for a one-time service. Instead, they want to establish an ongoing relationship. Accountants can also help with monthly and yearly business accounting services and paying quarterly taxes. If you are audited, you can rely on your Accountant to represent you and your interests. Your Accountant should know the best ways to establish your bookkeeping and accounting needs. You should feel confident that your Accountant will create the proper controls and procedures for managing your revenue streams. Additionally, they should also be able to develop the types of reports that will enable you to know exactly where you are financially. 3. A professional and experienced Accountant can help your business operate in the most tax efficient way possible. I feel confident in saying that no one wants to give the government any extra hard-earned dollars than is required. Without proper guidance and counsel of a competent Accountant, you could pay significantly more in taxes than was required by law, simply out of a lack of knowledge. As a business owner, you should be seeking the very best service to suit your needs and budget, and that may not come from a local business. Thanks to technology, companies can meet with clients who are hundreds or thousands of miles away and still easily meet their needs. If you are seeking a virtual Accountant, contact Essential Accounting Consultants. Can you believe 2018 has come to a close? It seems like only yesterday, we were counting down to the New Year. I hope that you were able to reach your personal and professional goals and have a little fun along the way. It is amazing how preparation and timing can create amazing opportunities. I'm writing this blog from my home office overlooking beautiful Dominican Republic views. I often receive emails from clients and peers asking me why I chose to make a large portion of my business operate in the virtual space. Have you ever had an eye-opening experience and then afterward your life changed for the better? I had the experience of my life that changed me. You’ve probably heard the expression “Living my best life” about a million times, right? While I will agree that the term has been overused in the past few years, this phrase really sums up all the areas of my life. Standing in my bathroom mirror one day, I blurted out in a low voice "You can do this." I repeatedly said those four words until I finally believed the words that escaped from my mouth. Oh no, it happened. You received the dreaded Audit Notice from the Internal Revenue Service (IRS). You are not alone. In fact, nearly 1 out of 15 taxpayers will owe the IRS.